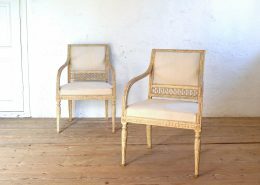 Very fine barrel back armchairs probably made by Stockholm chairmaker Ephraim Ståhl (1767-1820). 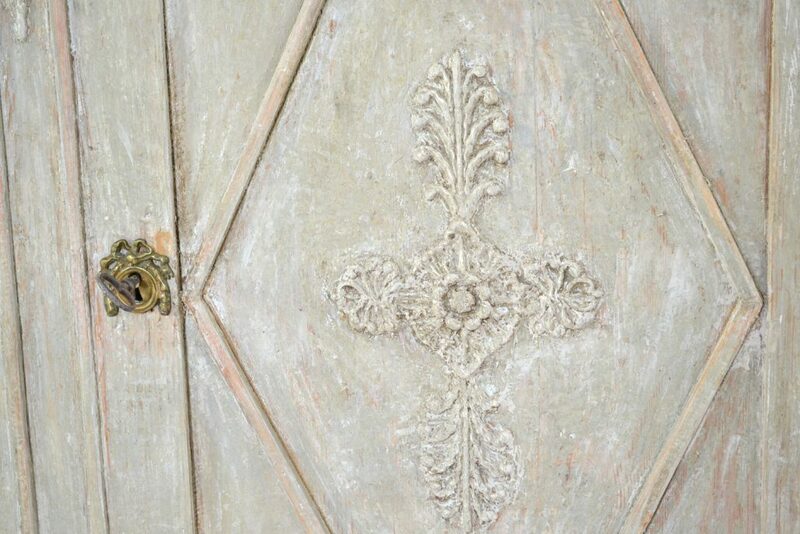 Scraped to its original color. 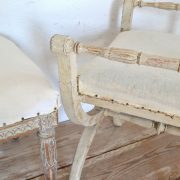 Dressed in new fabric. 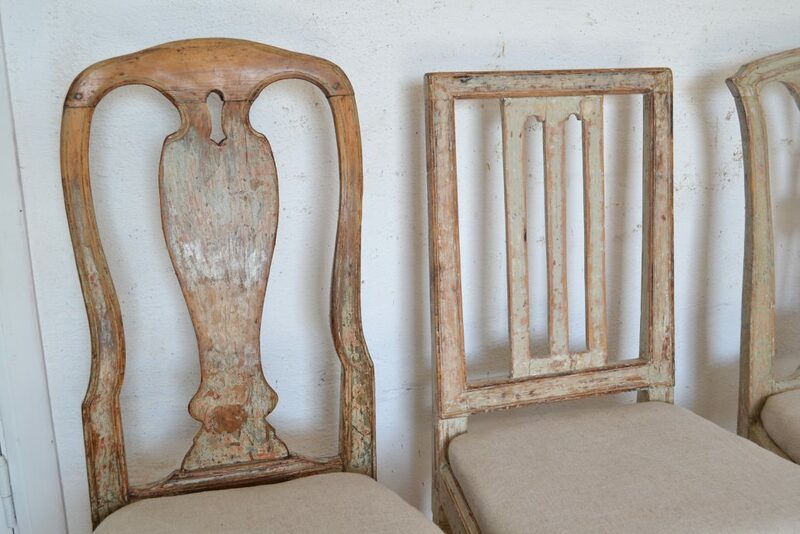 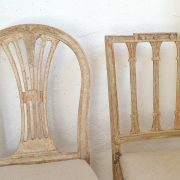 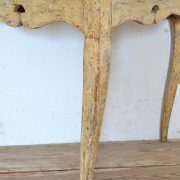 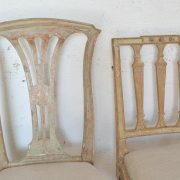 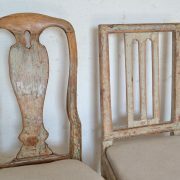 Old reinforcements on the inside of the chair rime. 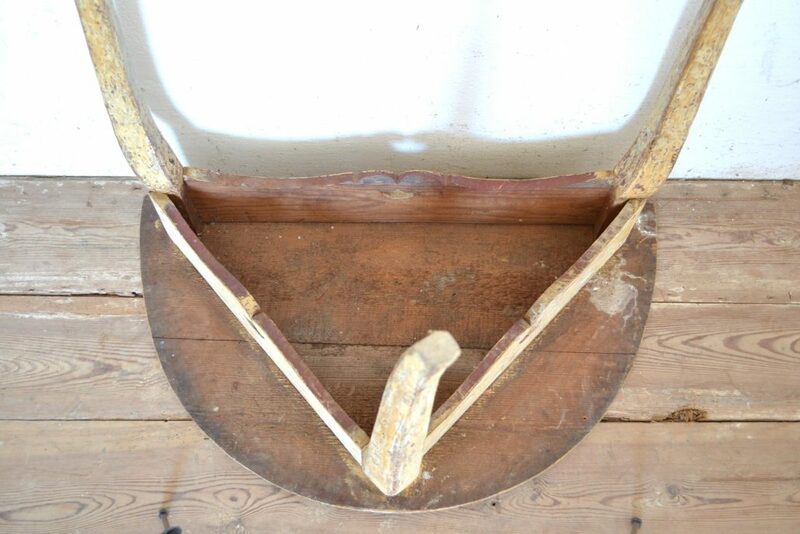 Stabilazed. 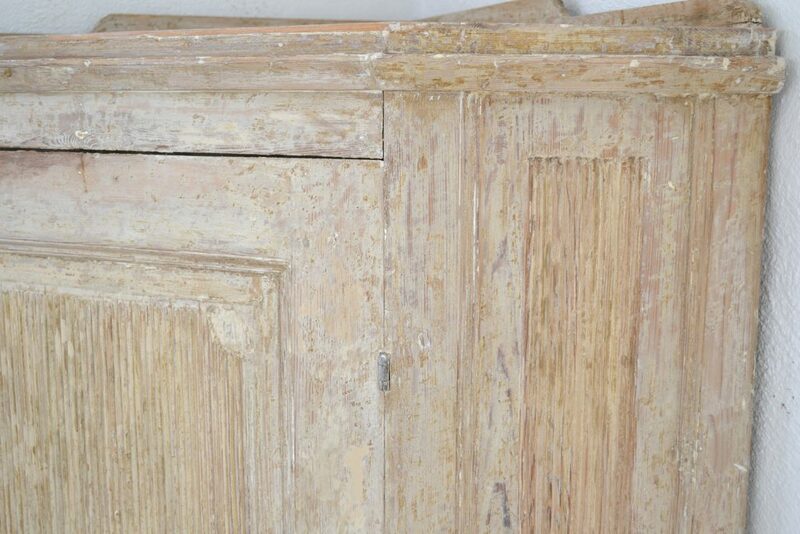 Fine corner buffet scraped to its original color. 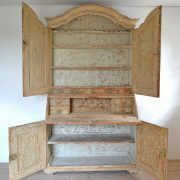 Manufactured in the early 18th century. 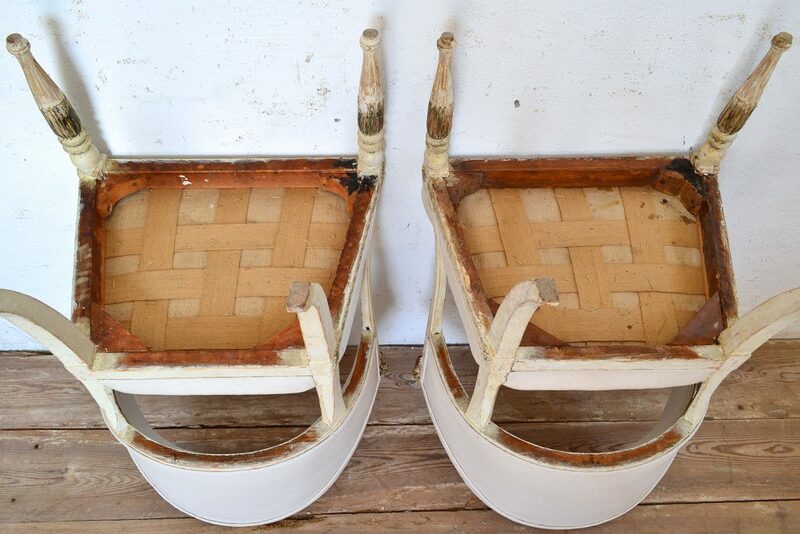 Later feet. 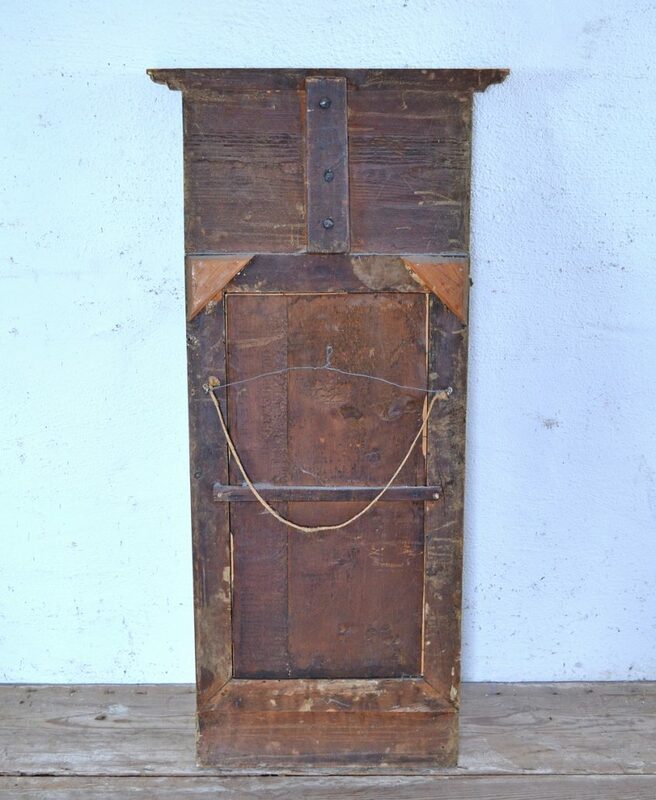 Probably later hinges. 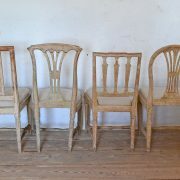 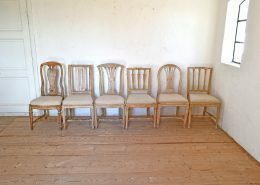 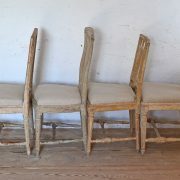 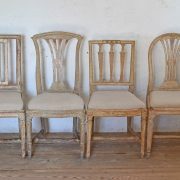 Rare collection of six Stockholm made chairs. 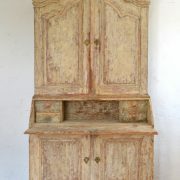 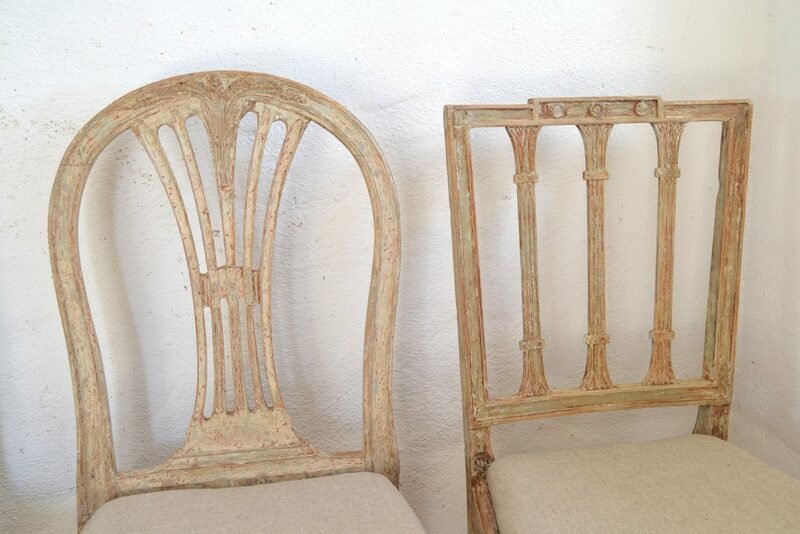 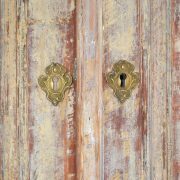 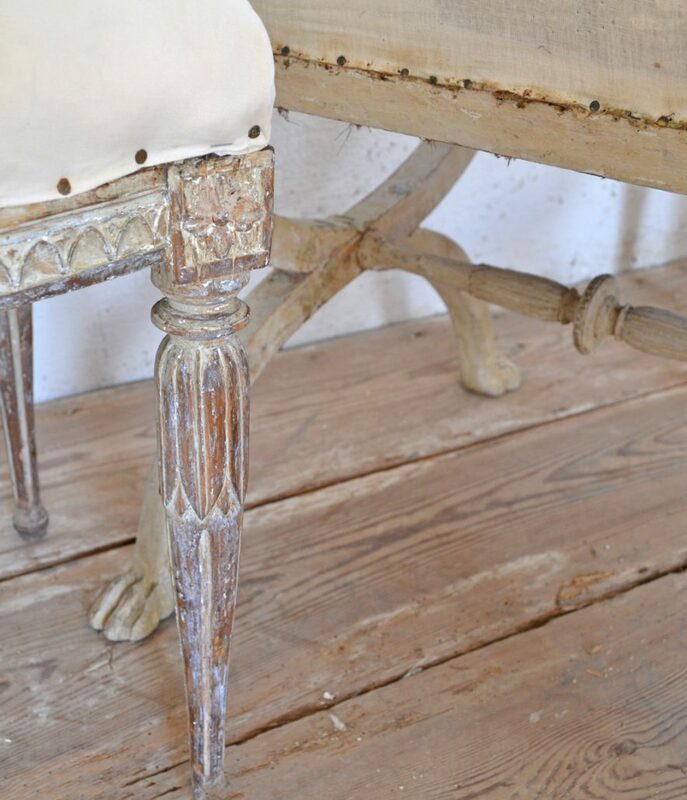 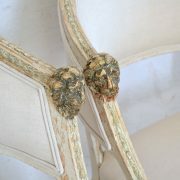 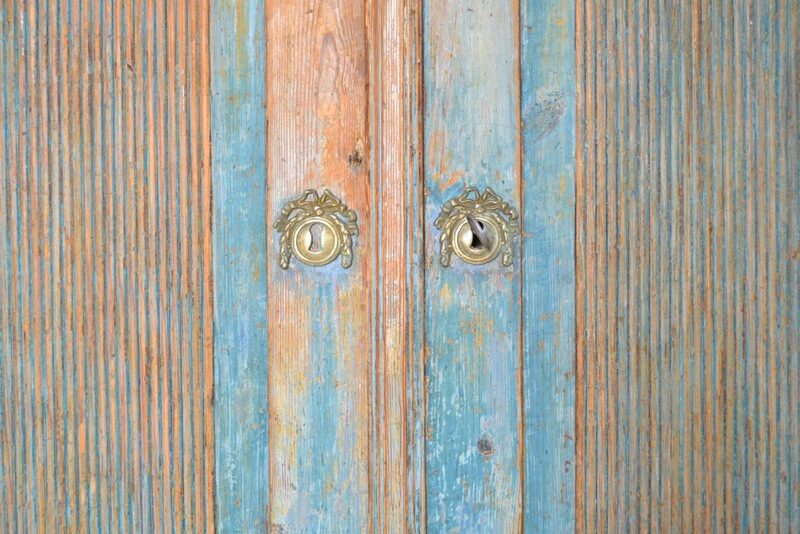 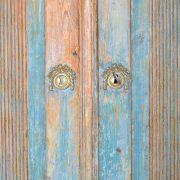 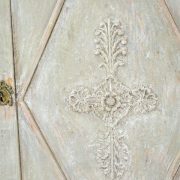 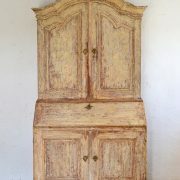 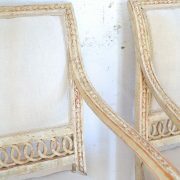 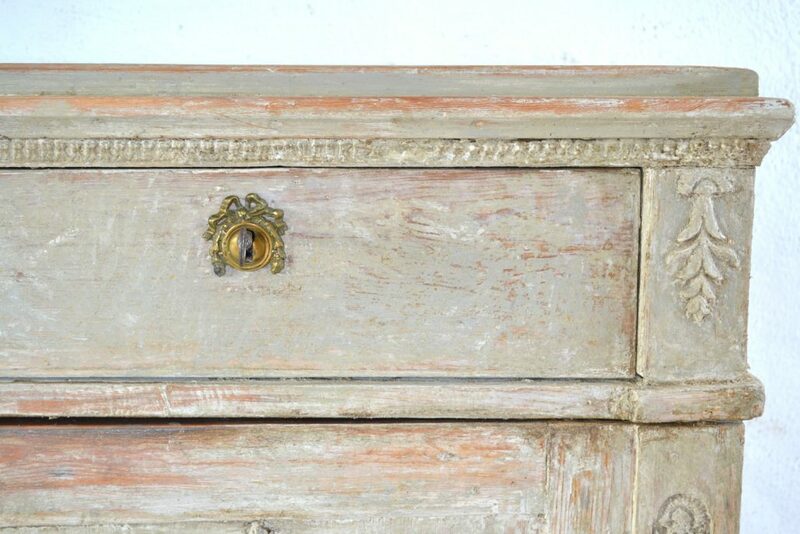 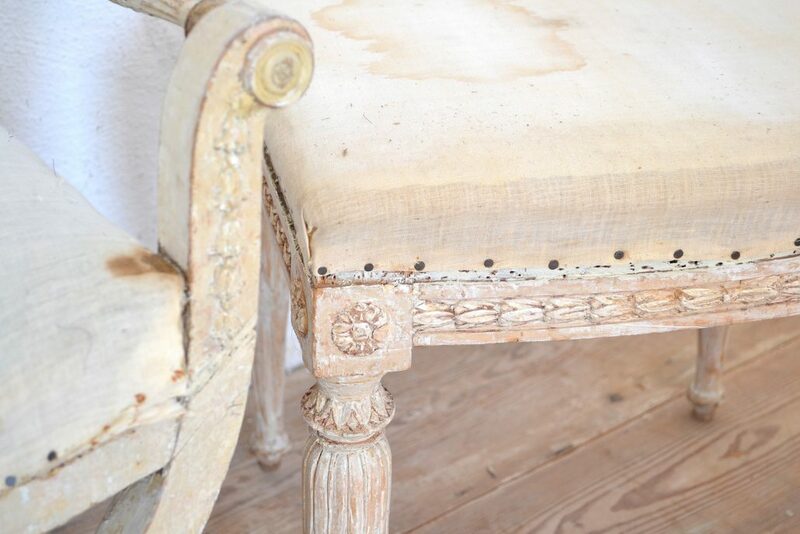 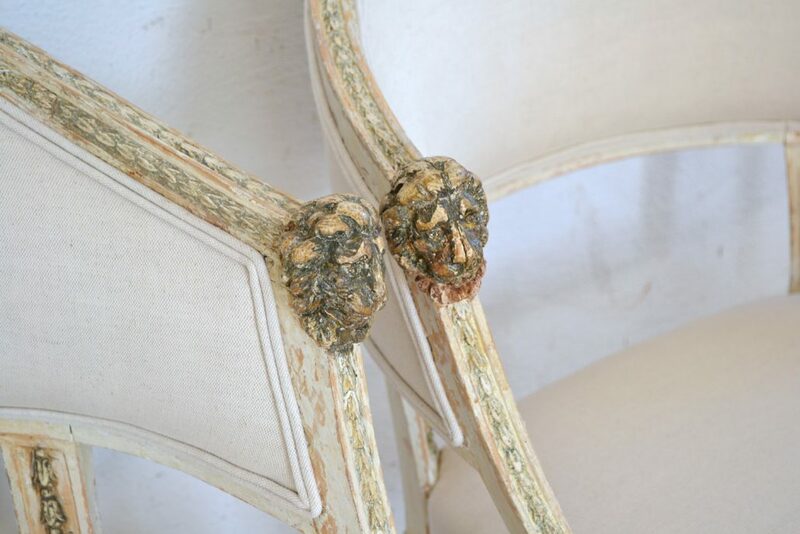 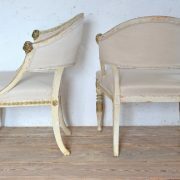 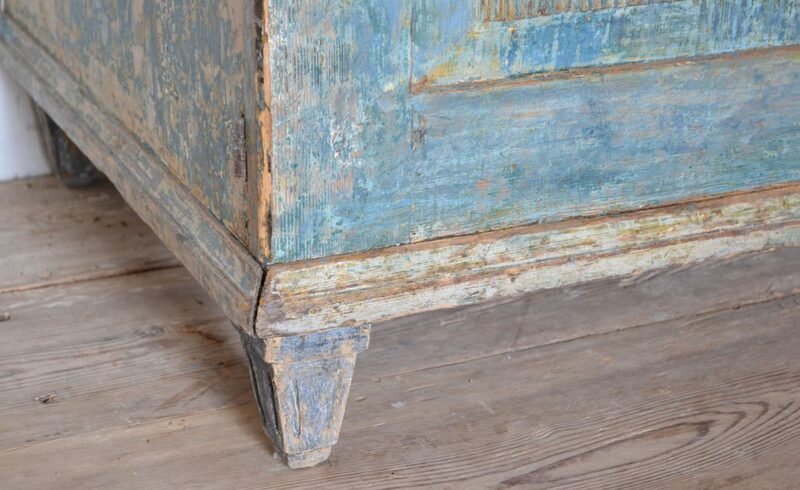 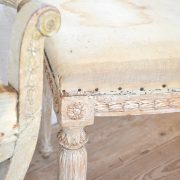 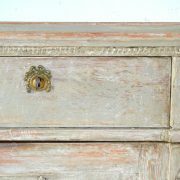 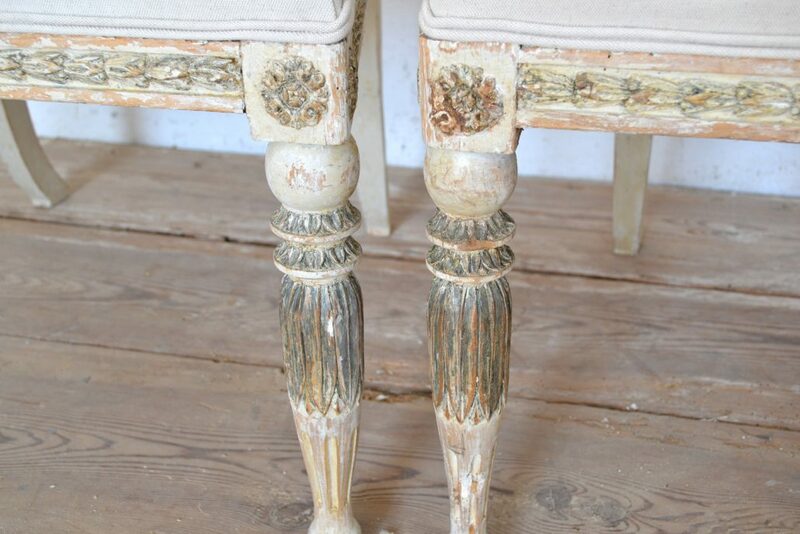 From the rococo gustavian transition era to the late gustavian era. 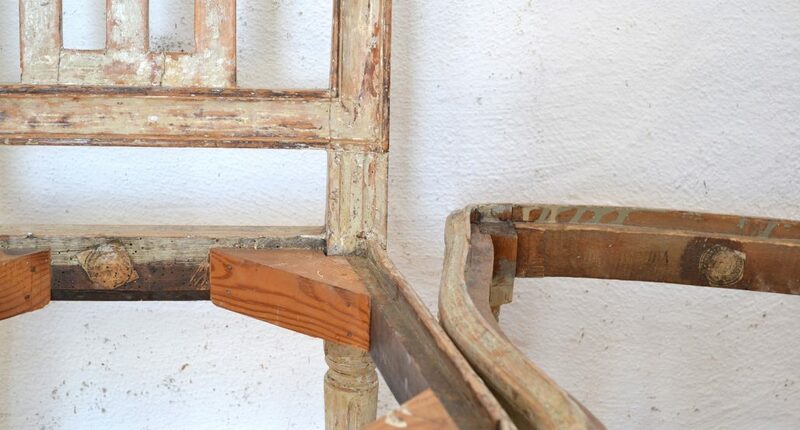 Al of them are scraped to its original collor. 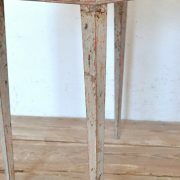 Tow marked with the Stockholm chair makers stamp. 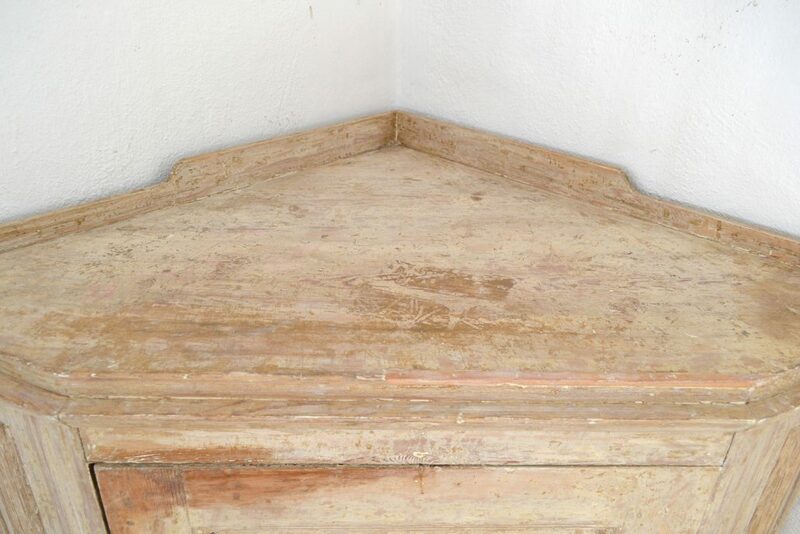 One signed IEH (Johan Erik Höglander 1750-1813) and one EÖM (Erik Öhrmark 1747-1813). 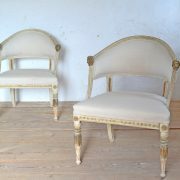 Small retuches and feet extensions. 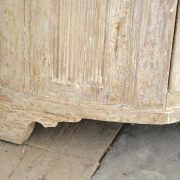 Stabilized. 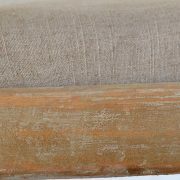 New fabric. 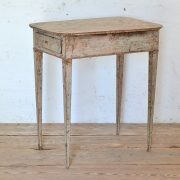 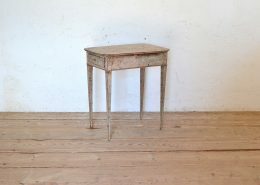 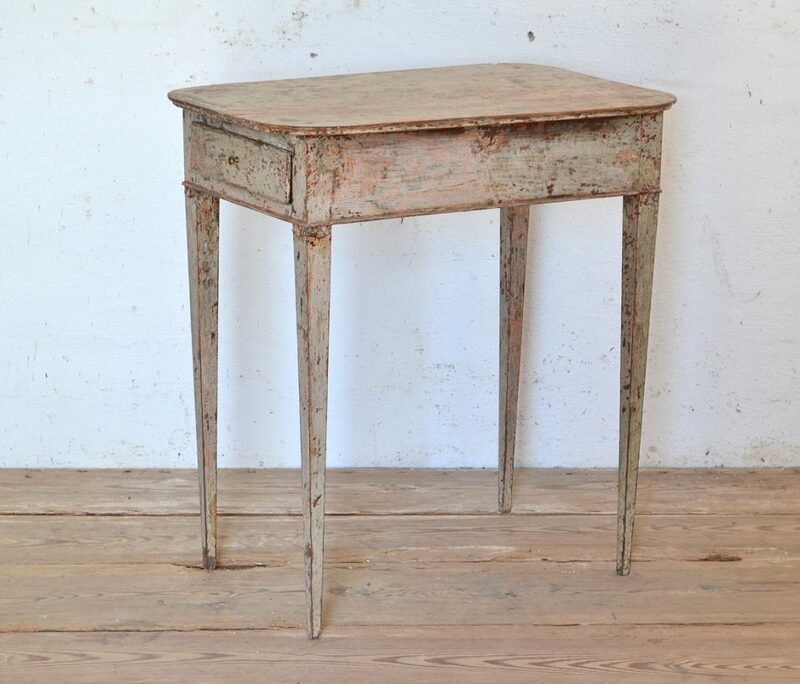 Gustavian Ladies sewing table made in the late 18th century with fine detailes. 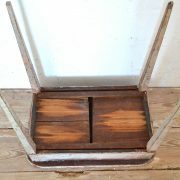 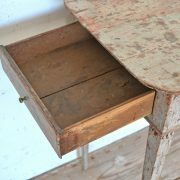 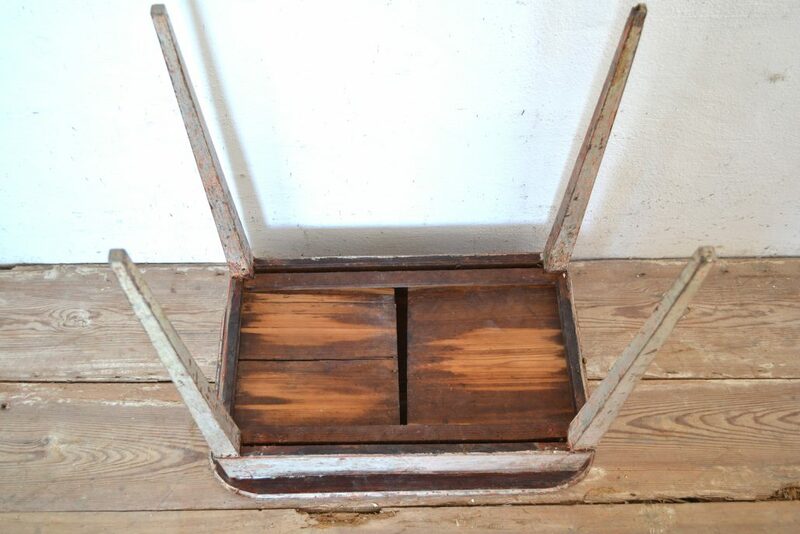 Tow drawers, one in each short-end. 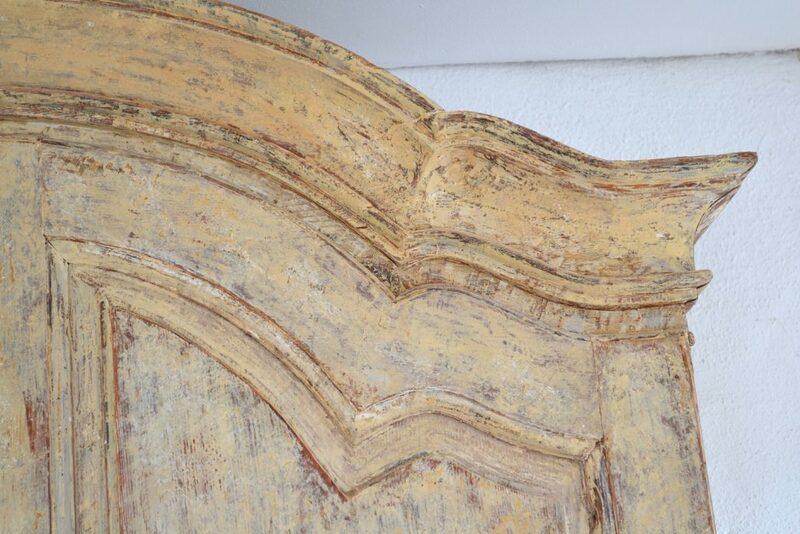 Scraped to its secondary empire paint from the early 19th century. 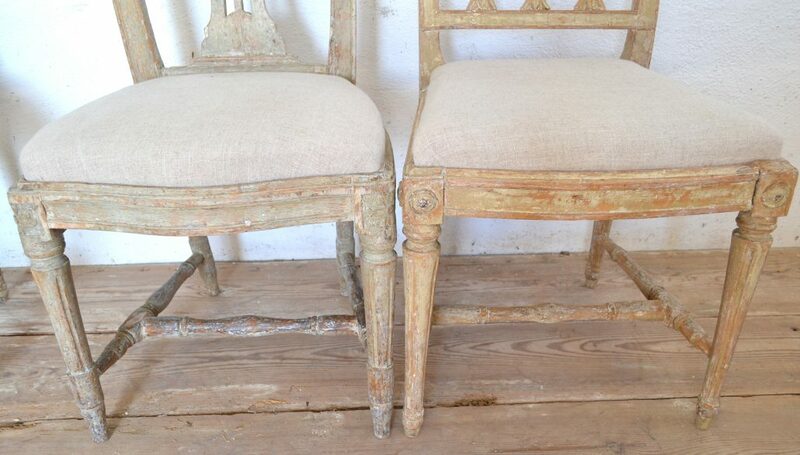 Small retouches. 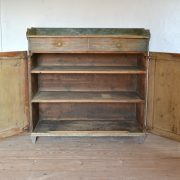 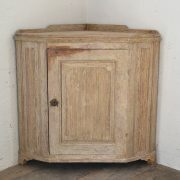 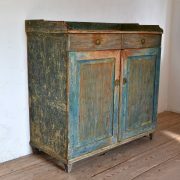 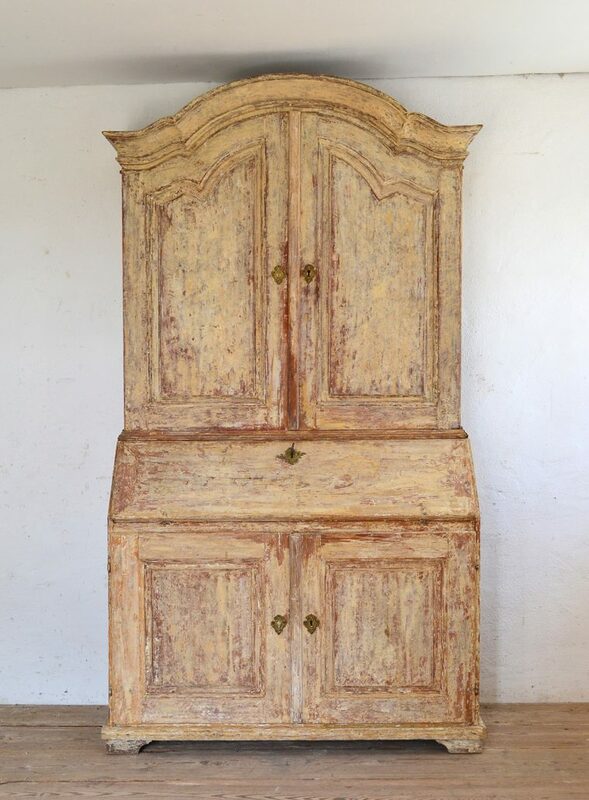 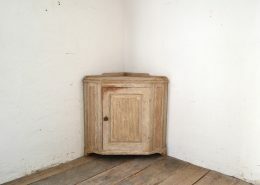 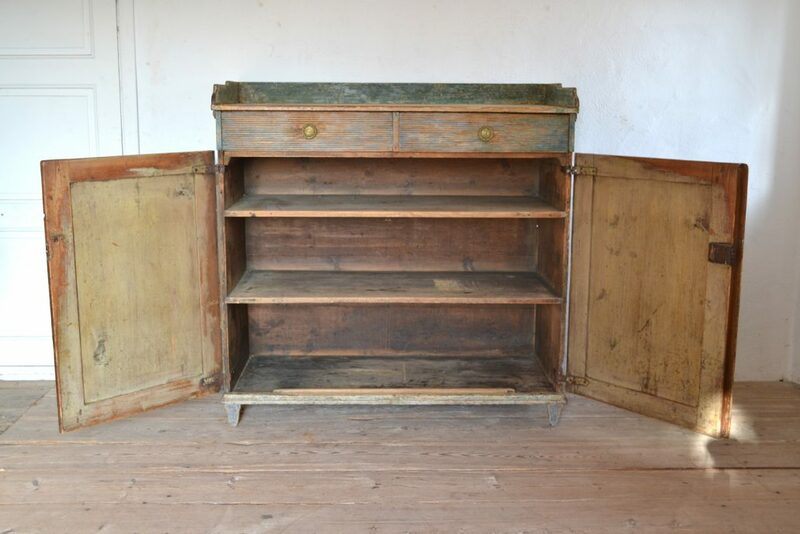 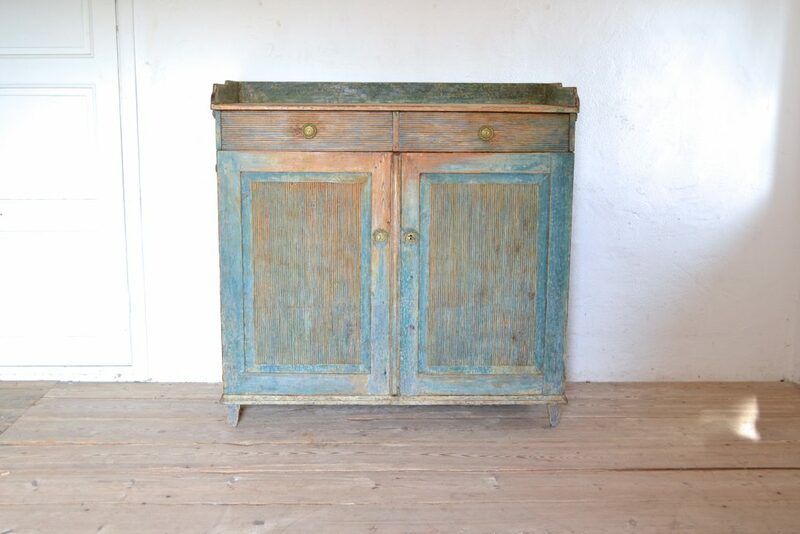 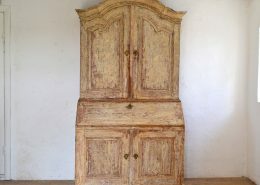 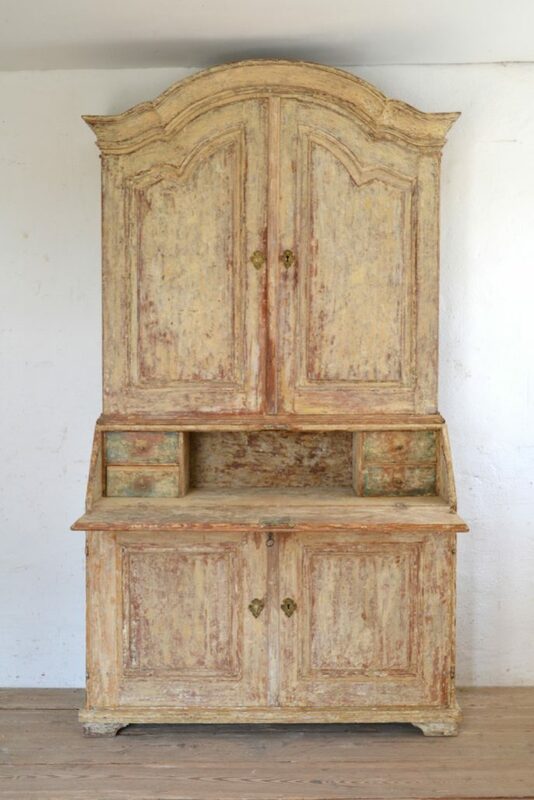 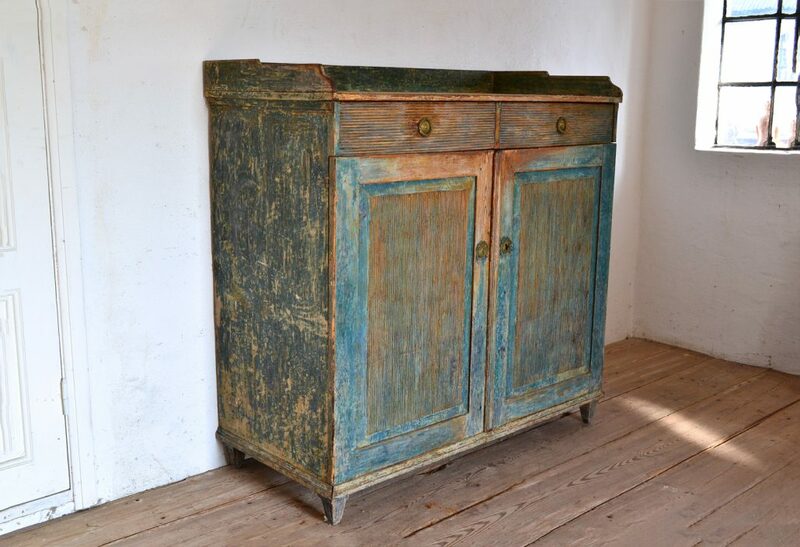 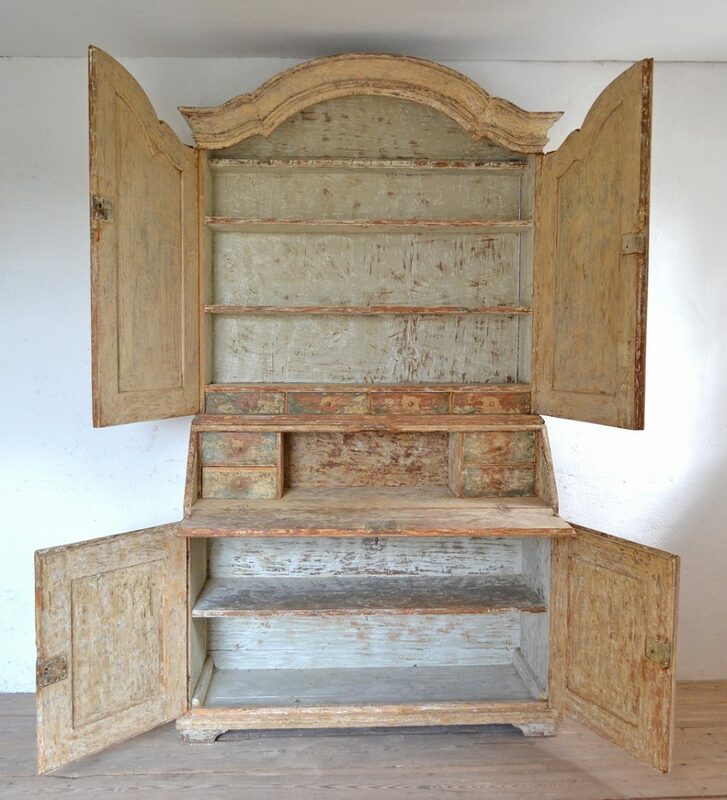 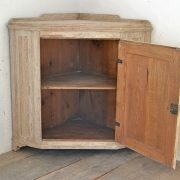 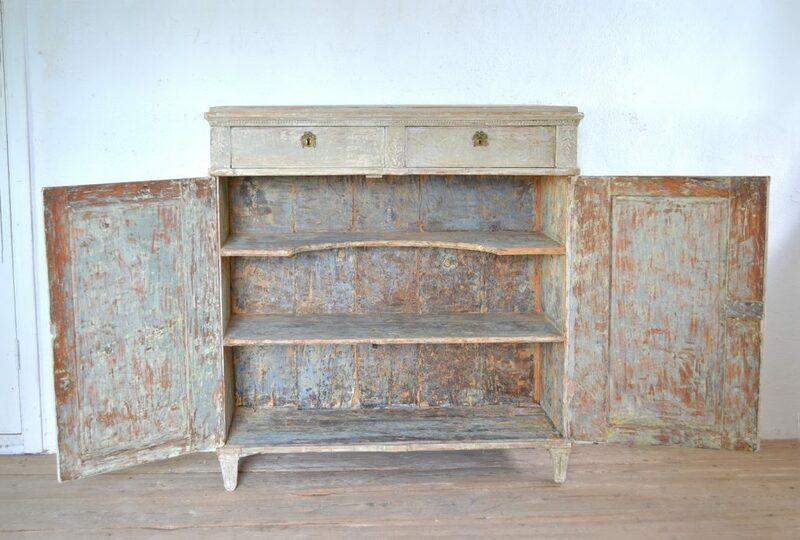 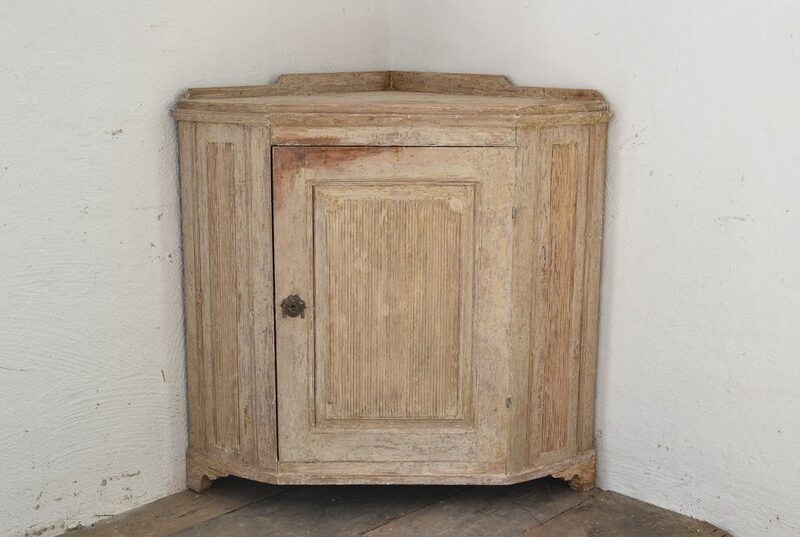 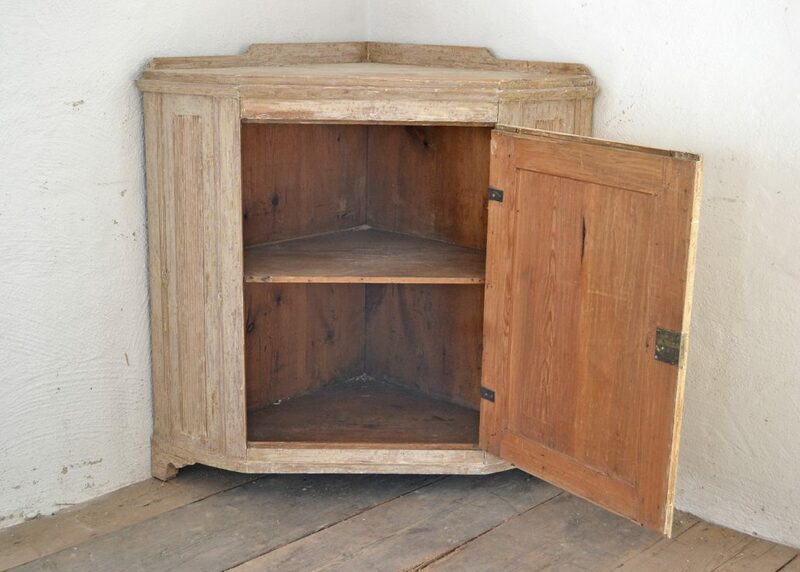 Period rococo cupboard made in the landscape of Värmland. 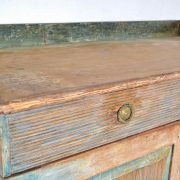 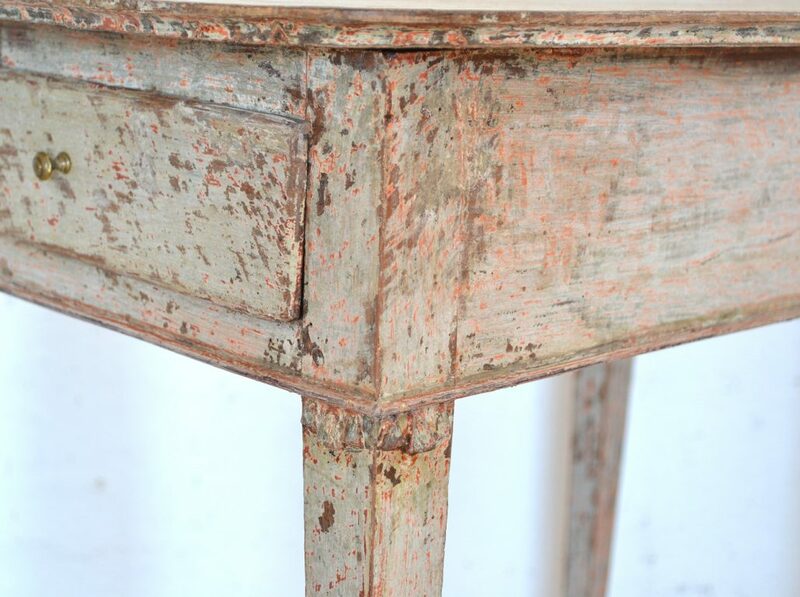 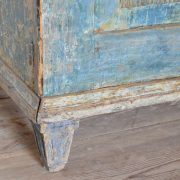 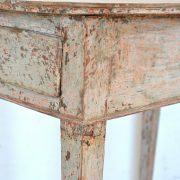 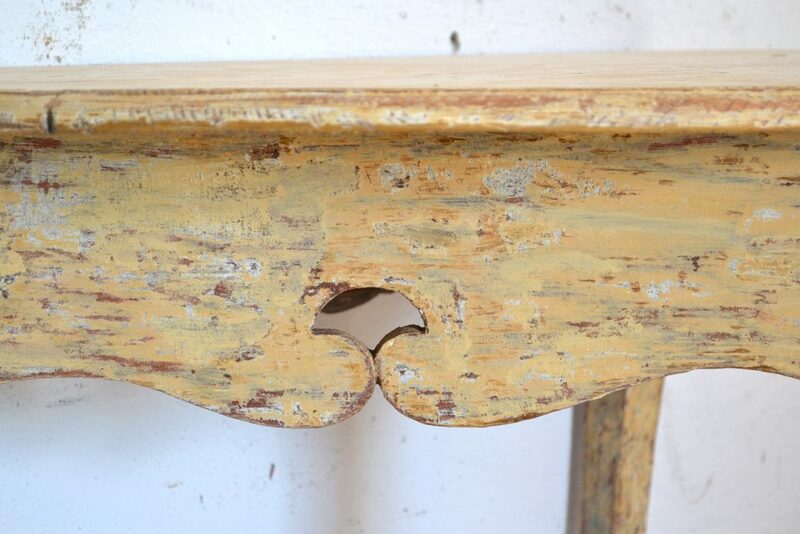 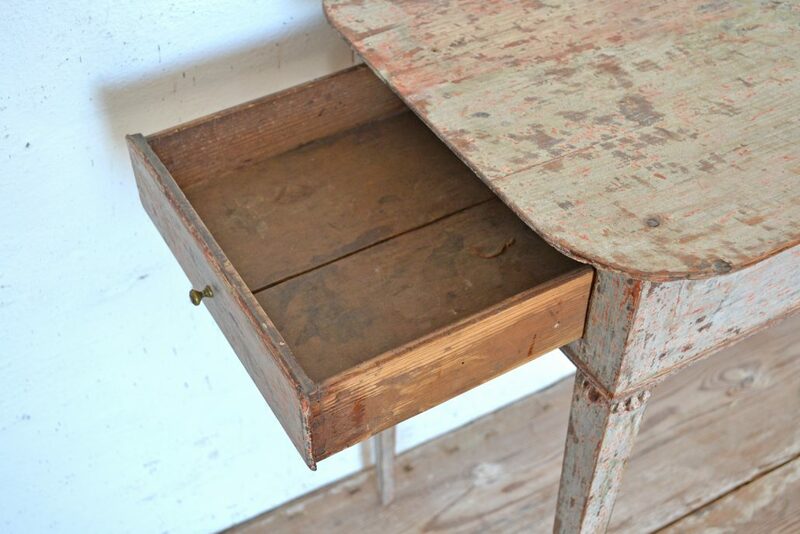 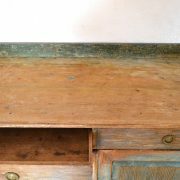 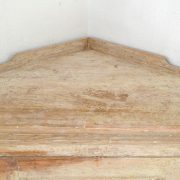 Scraped to a fine early 19th century secondary paint. 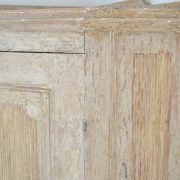 Scraped to a secondary paint on the inside. 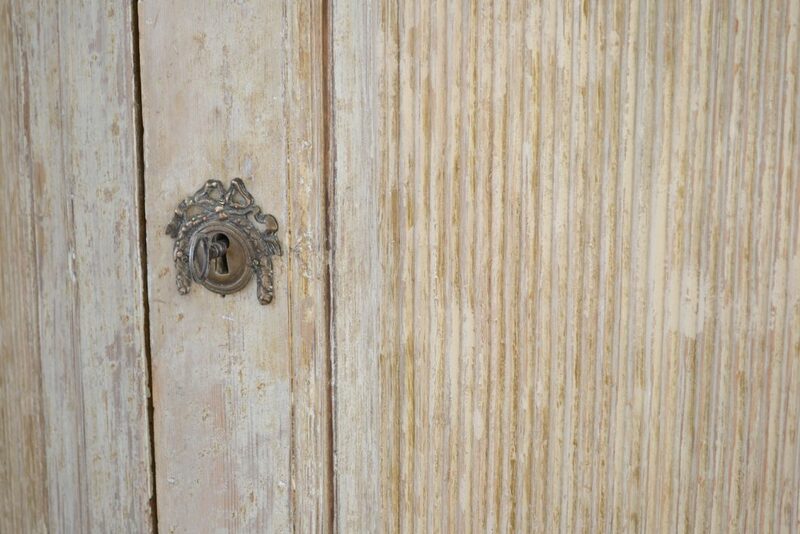 Original locks. 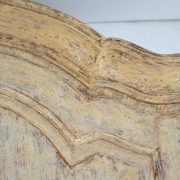 Complementary boards in the bottom of the lower part during the 19th century. 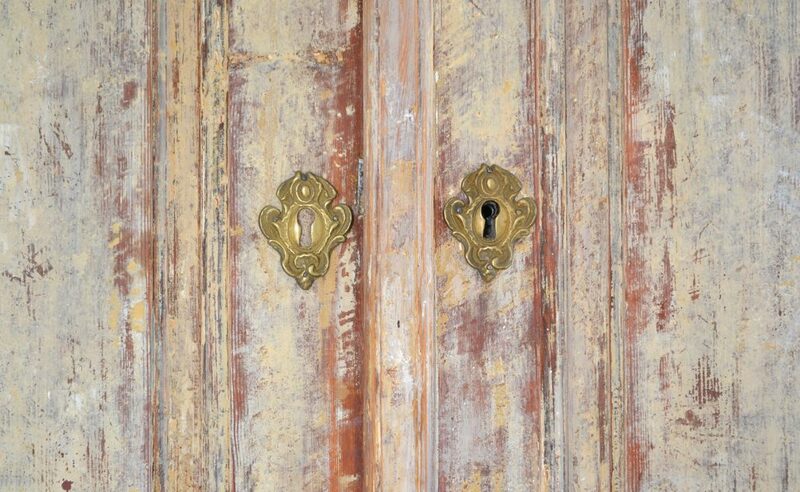 Later keyholes. 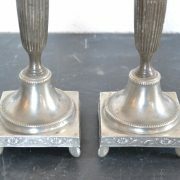 New made feet. 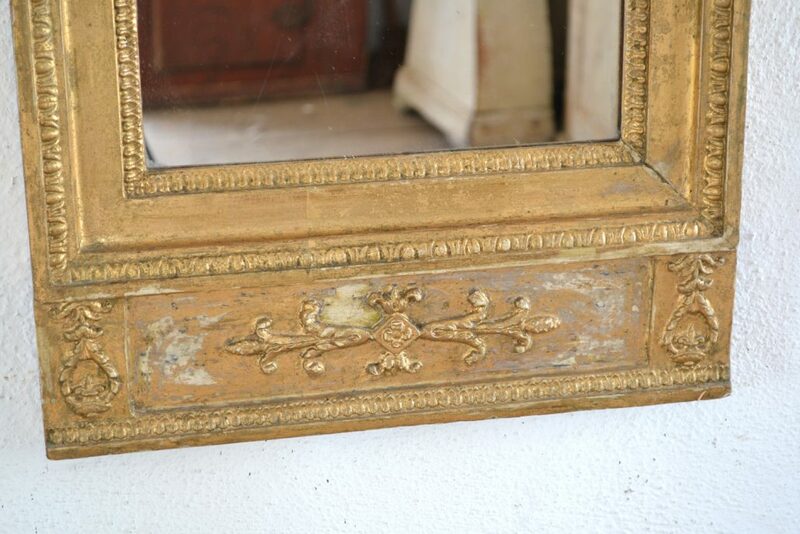 Retouches. 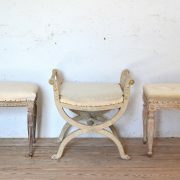 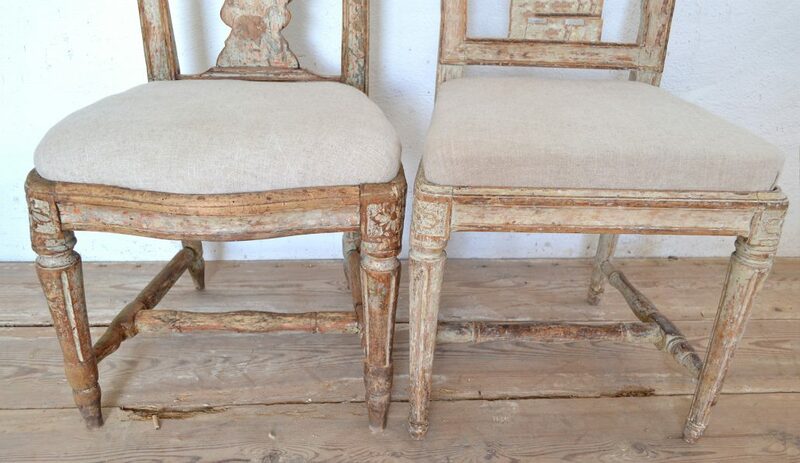 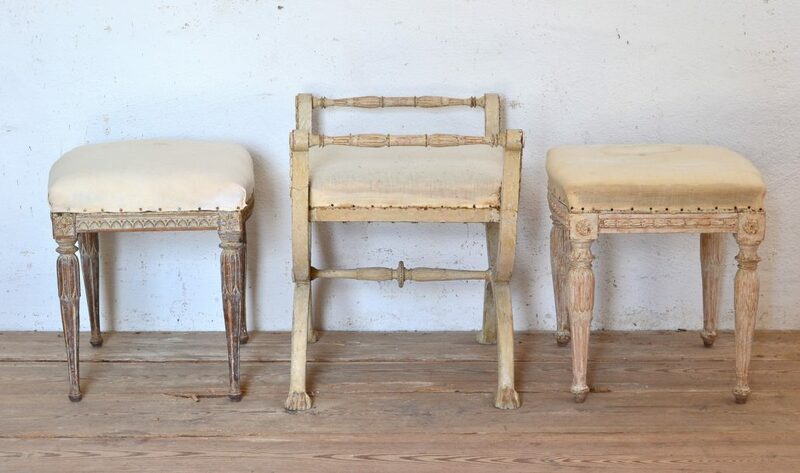 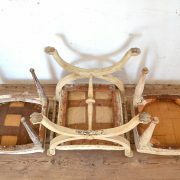 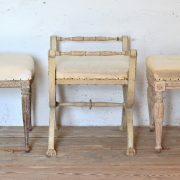 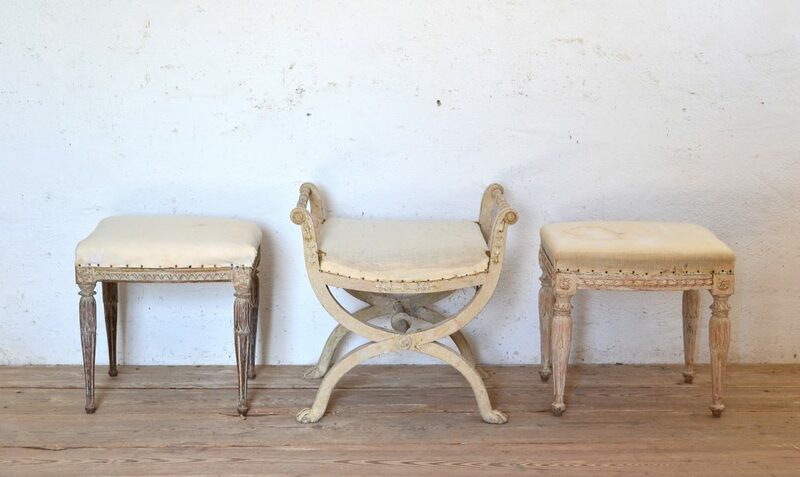 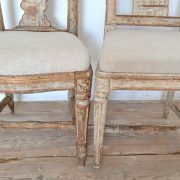 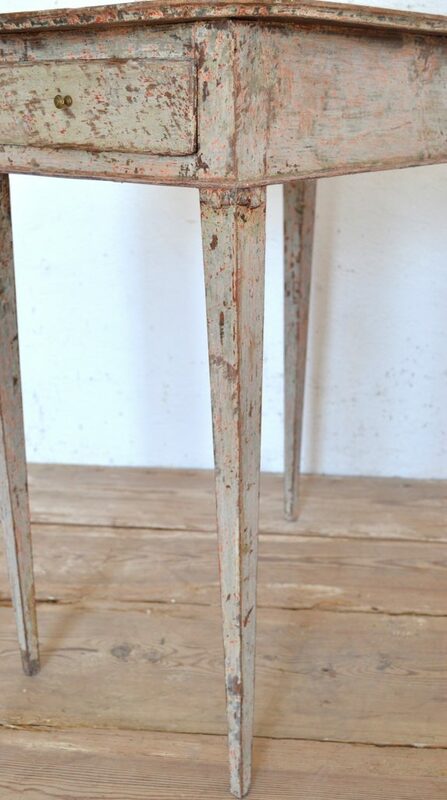 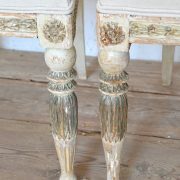 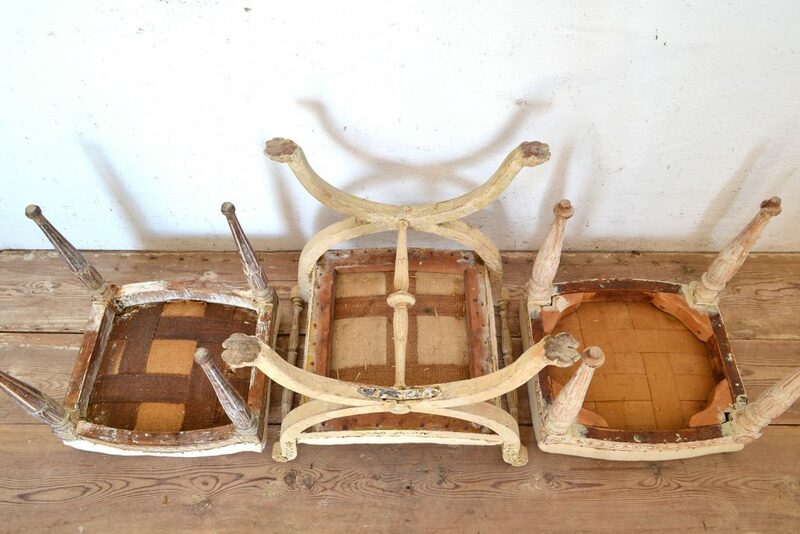 Three Stockholm stools made during the late gustavian era. 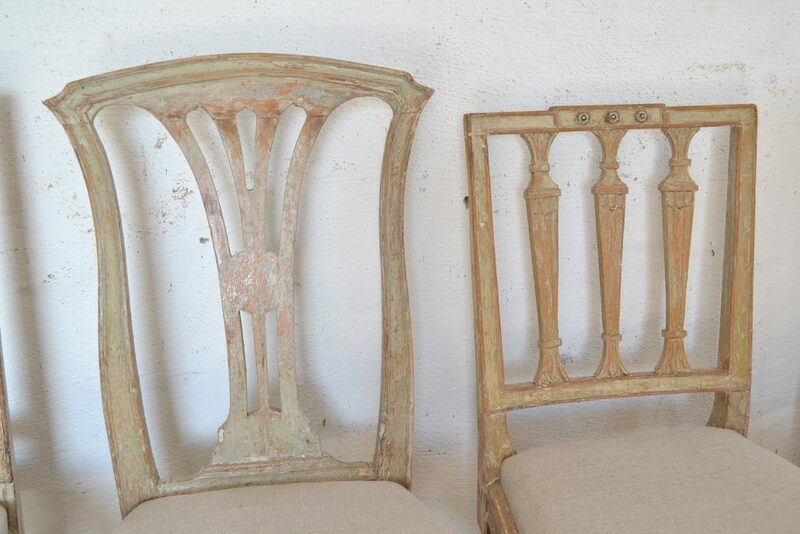 Al three are scraped to there original paint and one is signed IHS (Johan Hammarsröm 1758-1812). 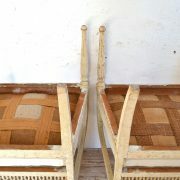 The tow stools with turned legs have small (10-15mm) feet extensions. 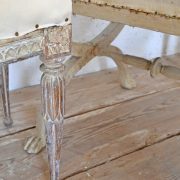 The one with lion feet have a old iron repair. 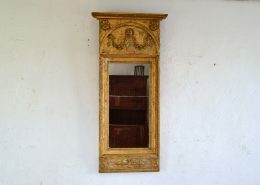 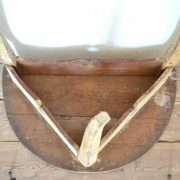 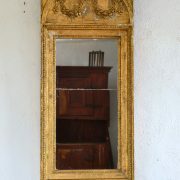 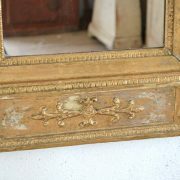 Late gustavian mirror made in Stockholm in the begining of the 19th century. 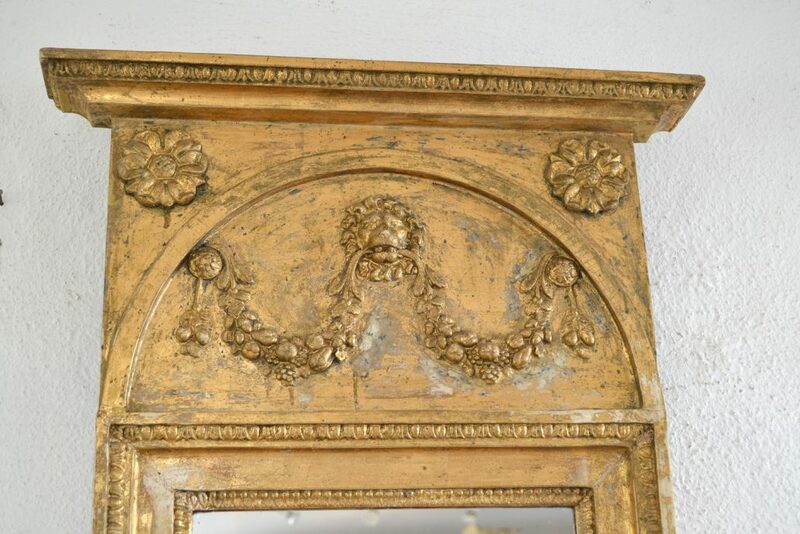 Washed to its well preserved original gilding. 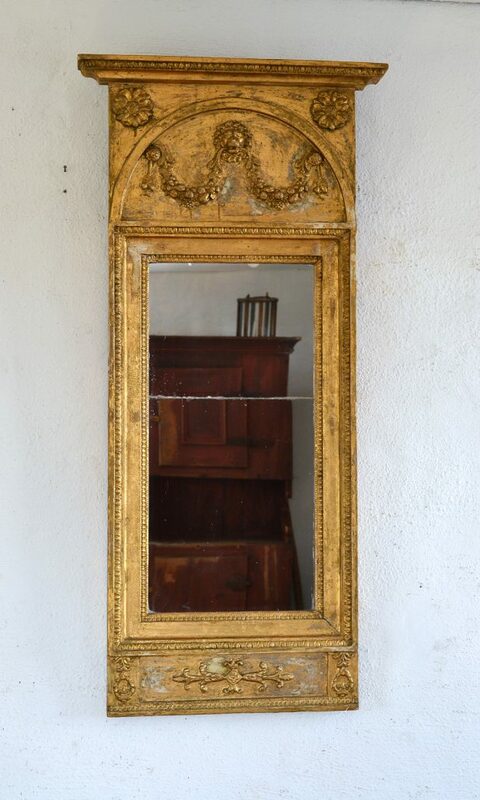 Later glass. 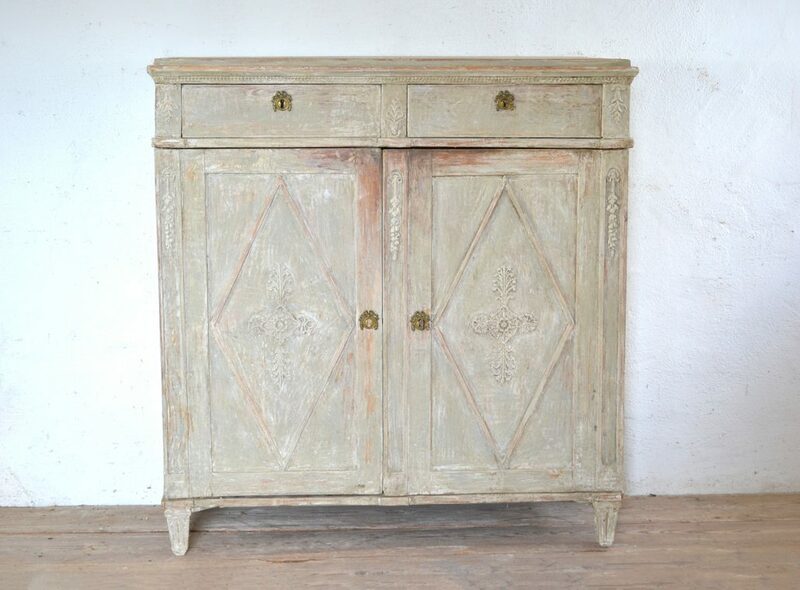 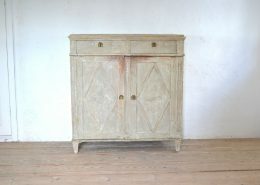 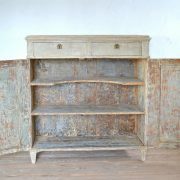 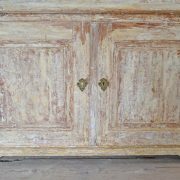 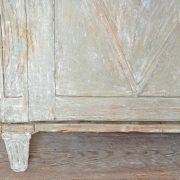 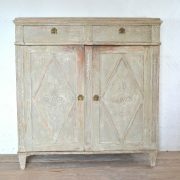 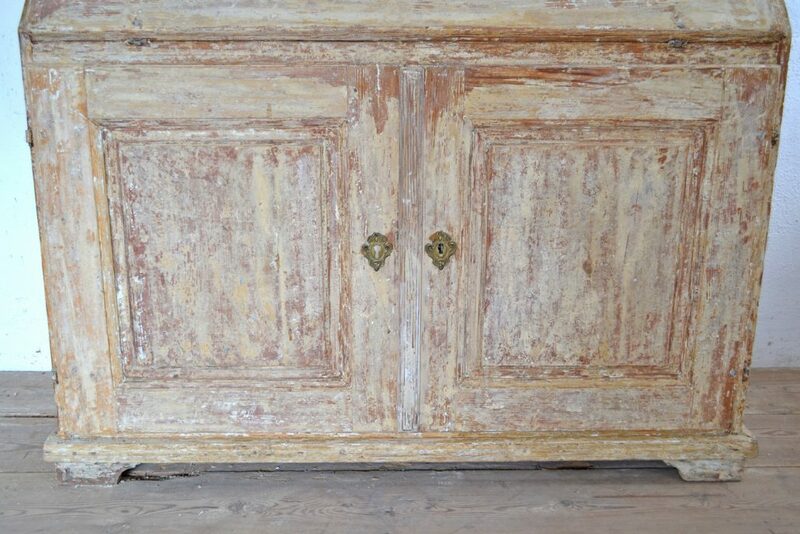 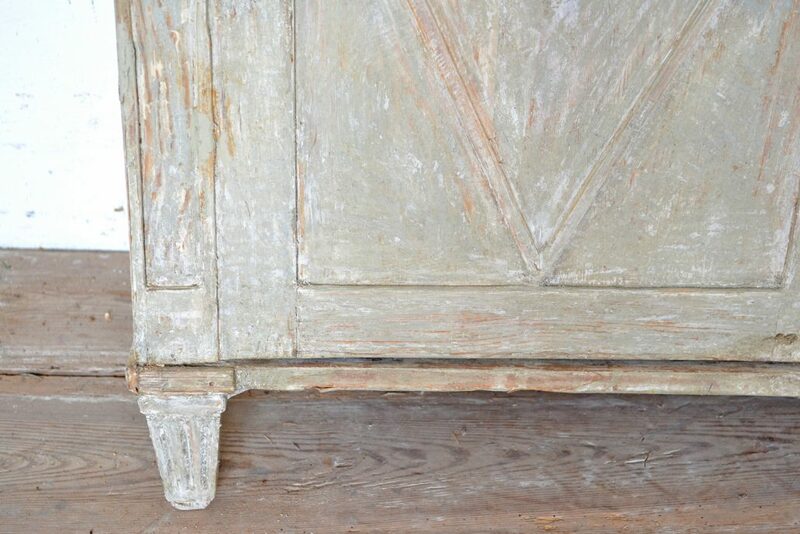 Fine late gustavian sideboard made in the begining of the 19th century. 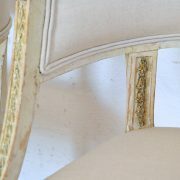 Small repairs on the original plaster decorations. 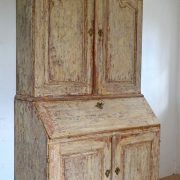 Original paint inside. 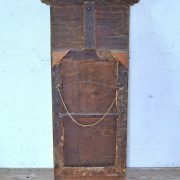 Later made feet and later hinges. 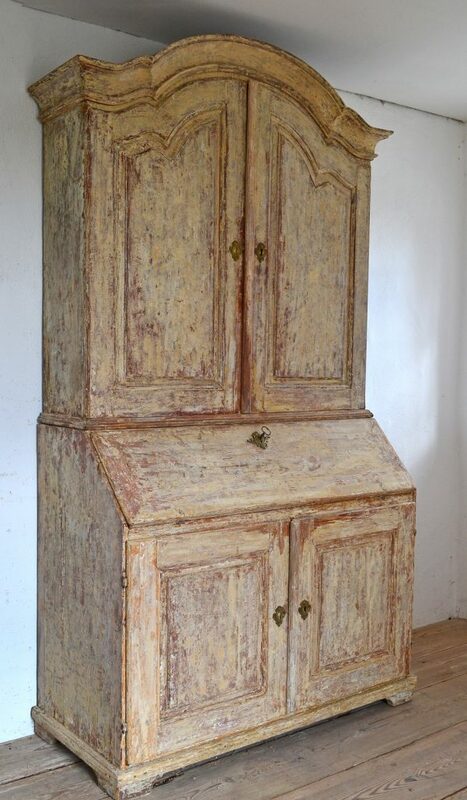 Repainted. 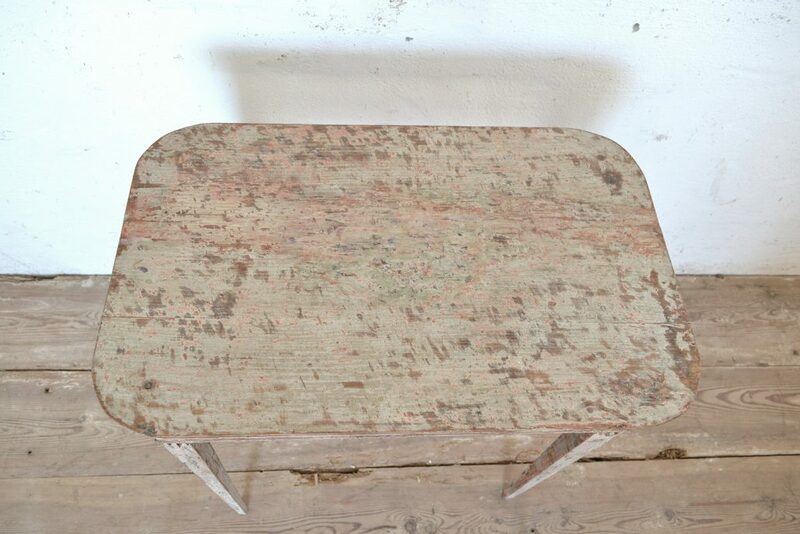 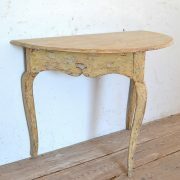 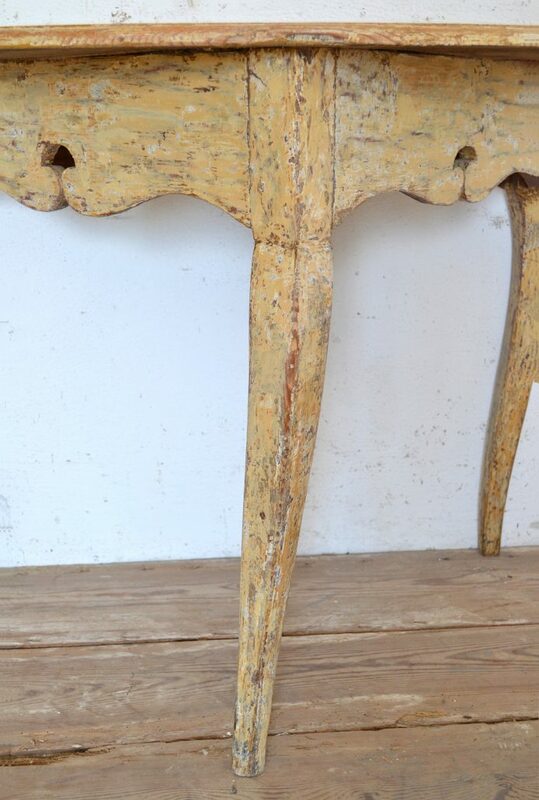 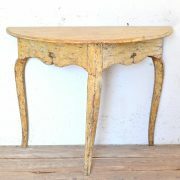 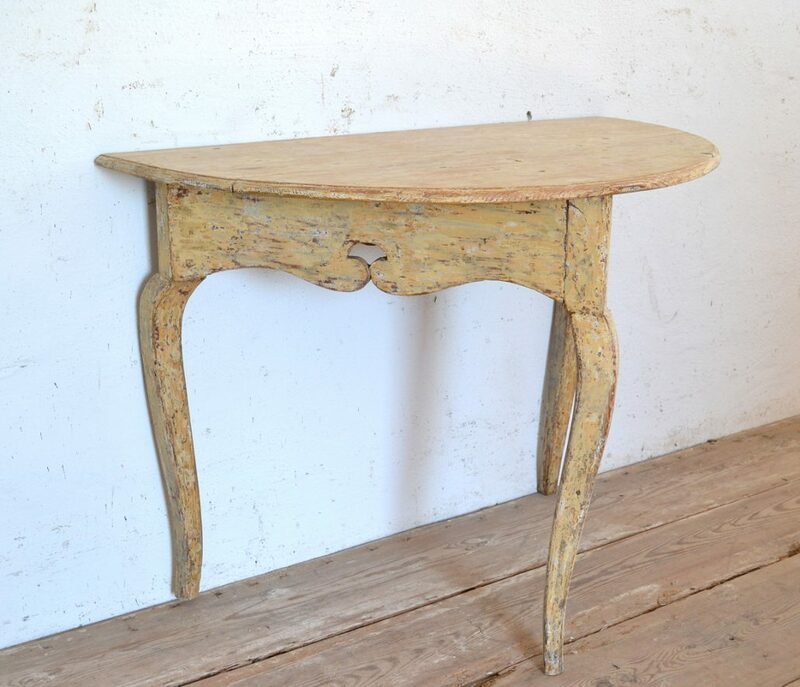 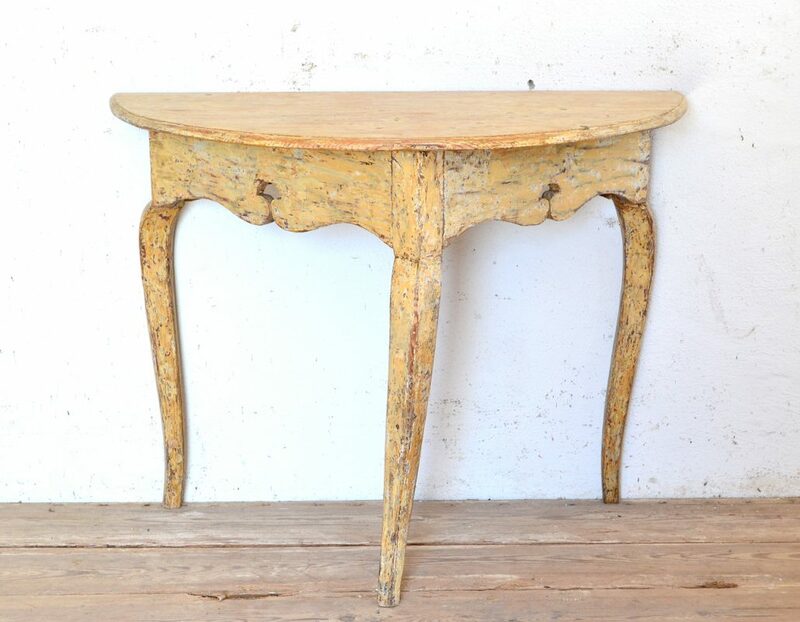 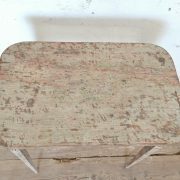 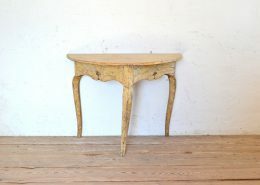 Charming provincially made Swedish rococo table made in the late 18th century. 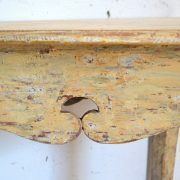 Scraped to a secondary paint. 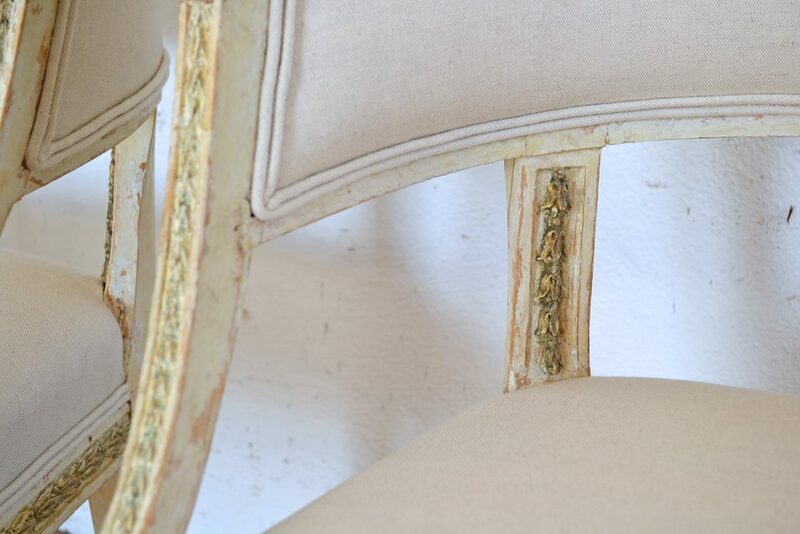 Small retouches. 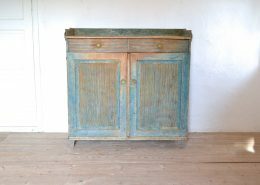 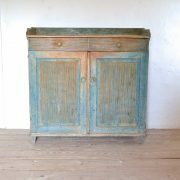 Large buffet in a fine original blue color. 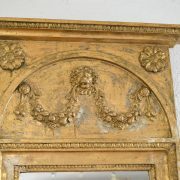 Made in the late 18th century. 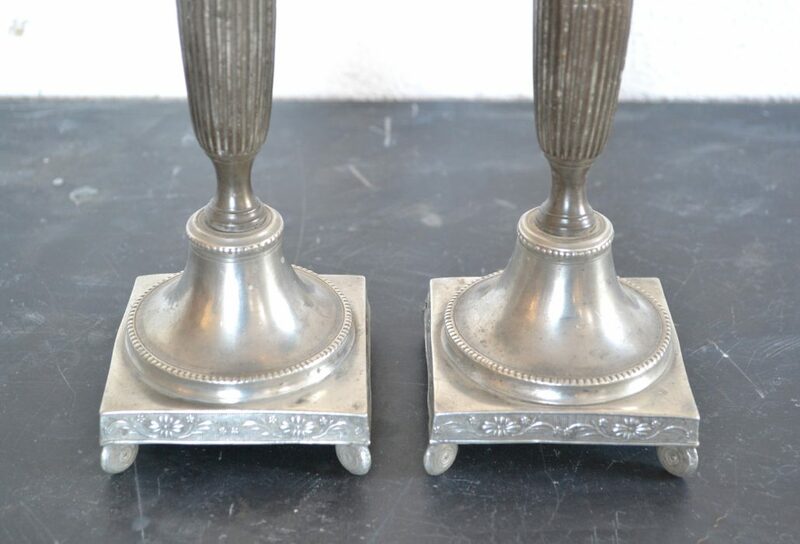 Extended original feet. 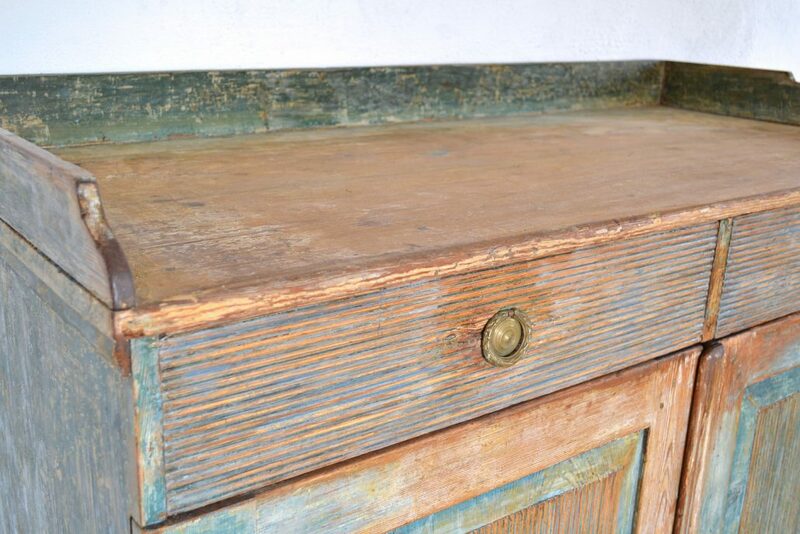 Untouched original paint and finish on the inside. 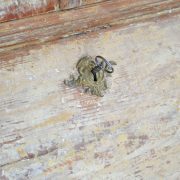 Later hard-wear. 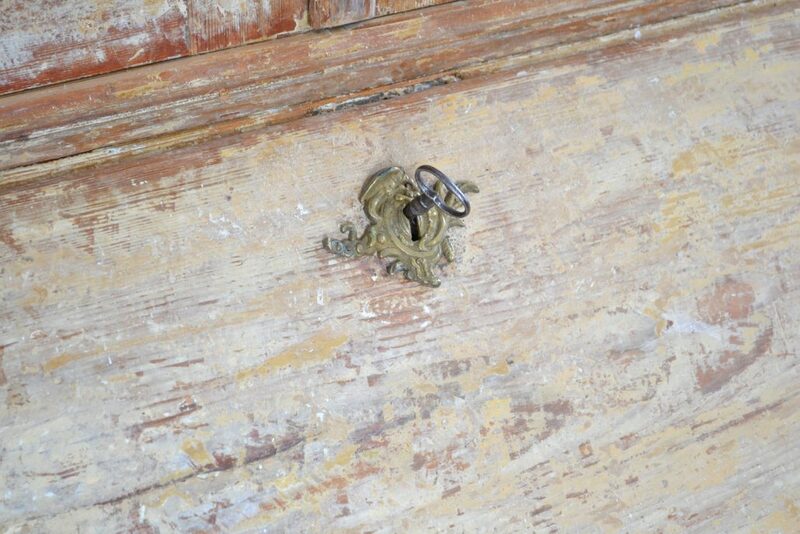 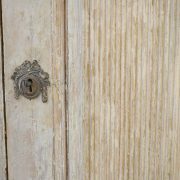 Original key and lock. 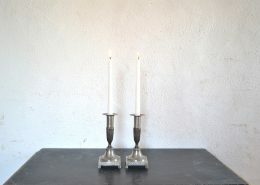 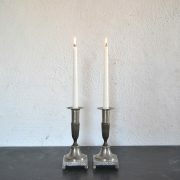 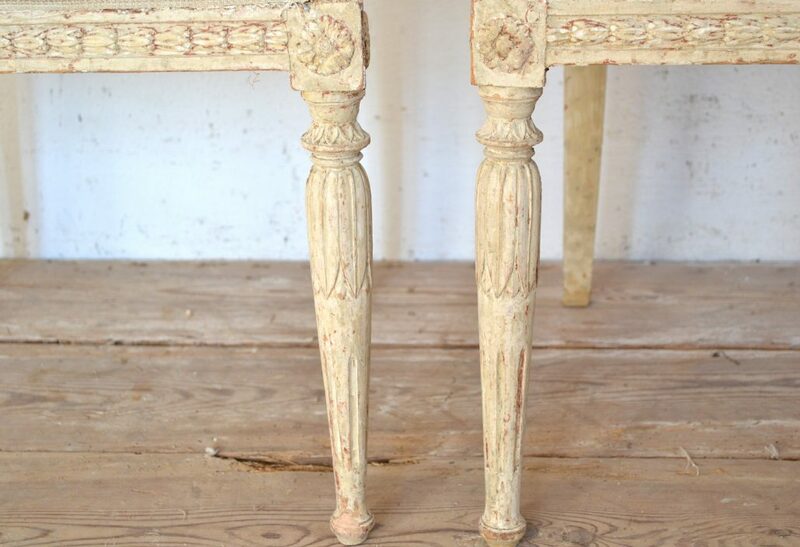 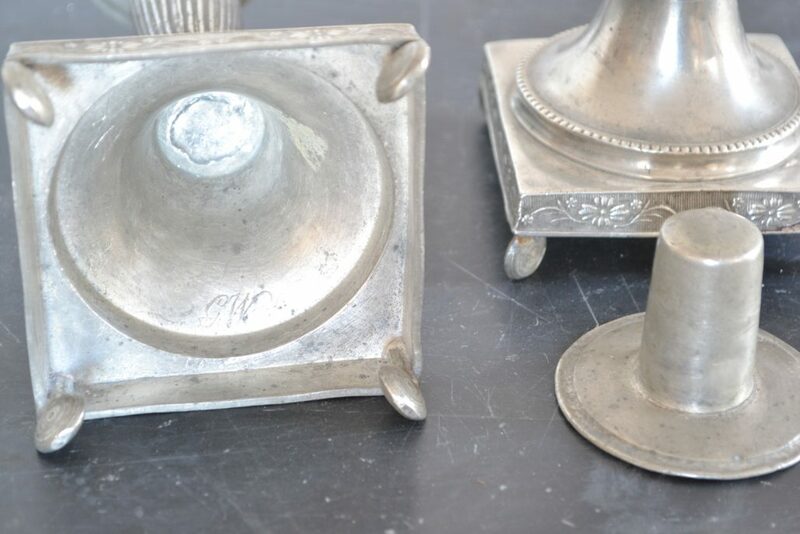 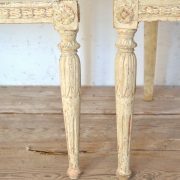 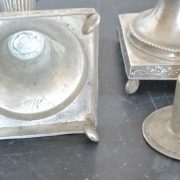 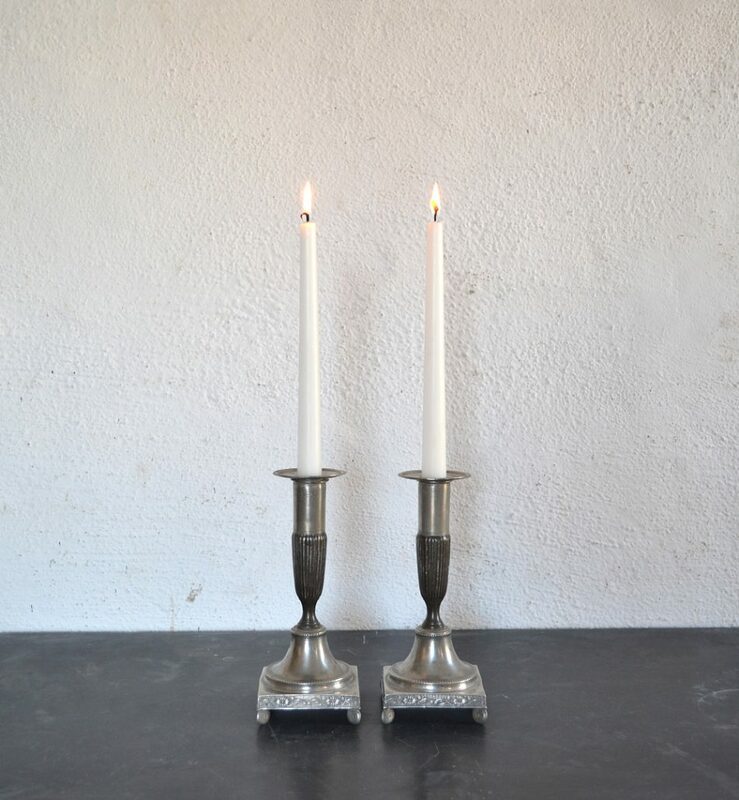 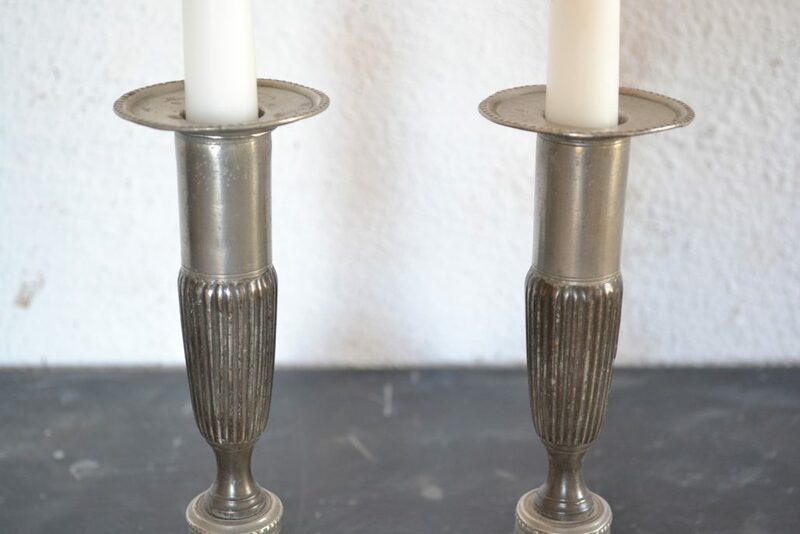 Pair of well preserved late gustavian tin candlesticks. 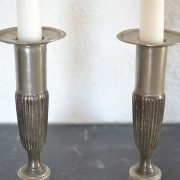 Made by tin caster Gustav Freedric Wigholm (1804-1849) working in Eskilstuna. 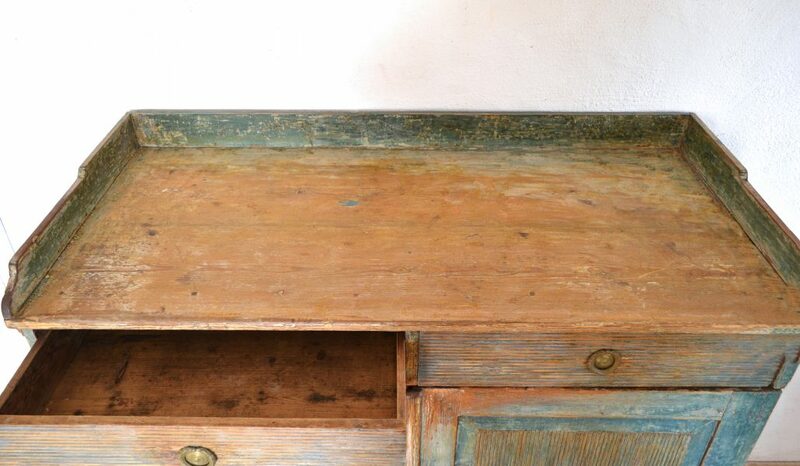 Rarely that the green original color is intact. 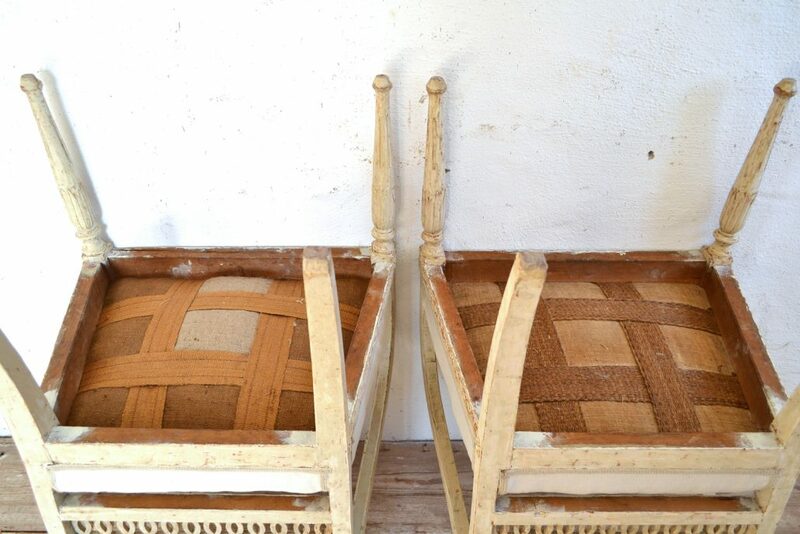 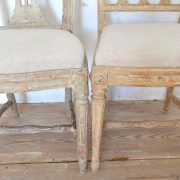 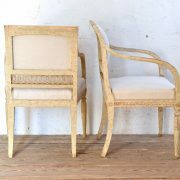 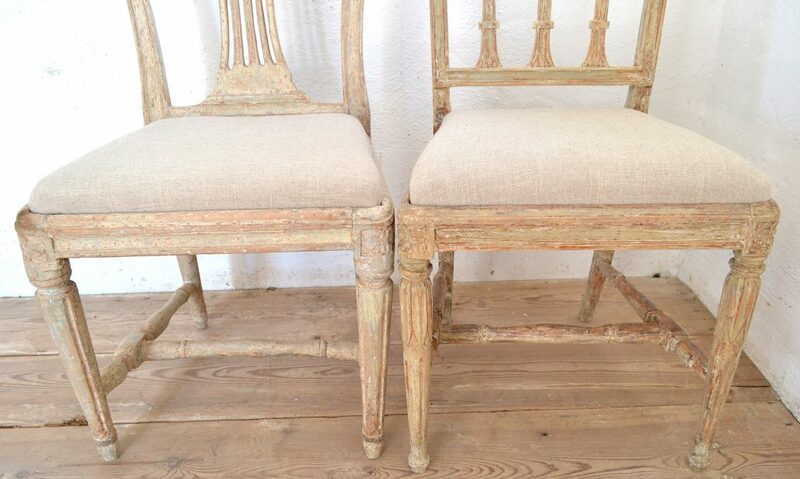 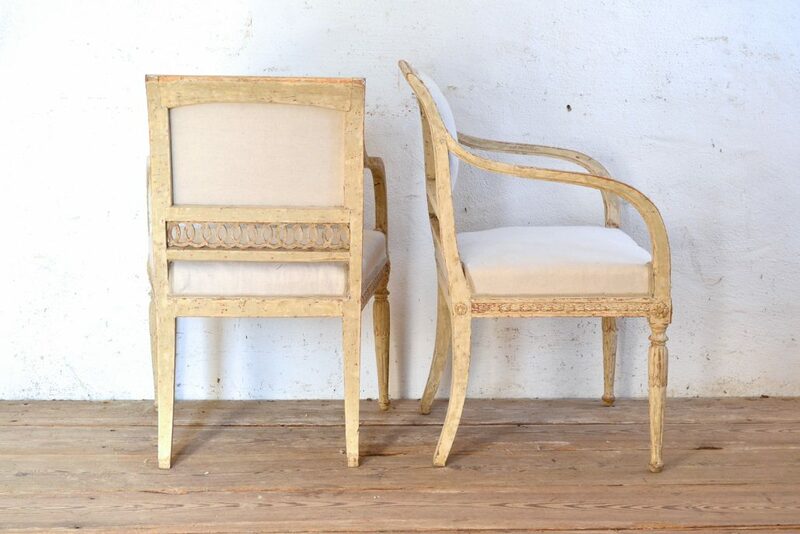 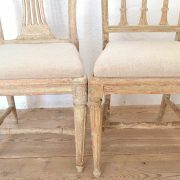 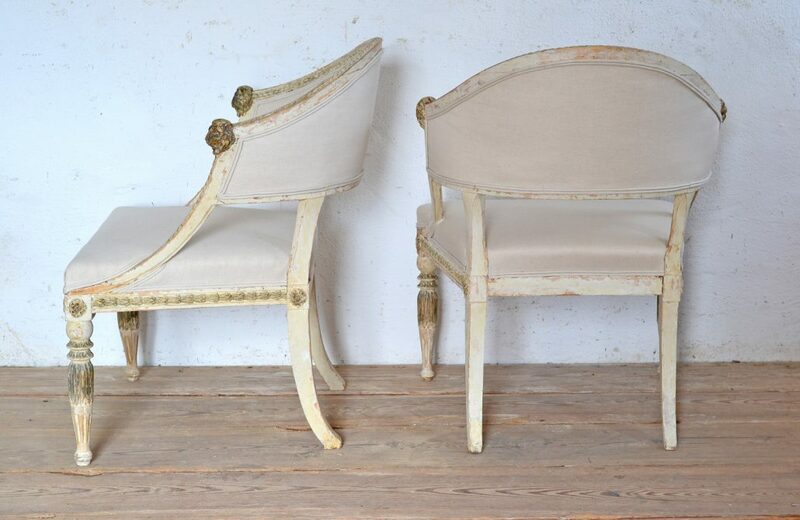 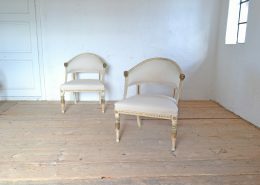 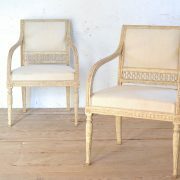 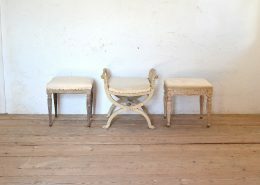 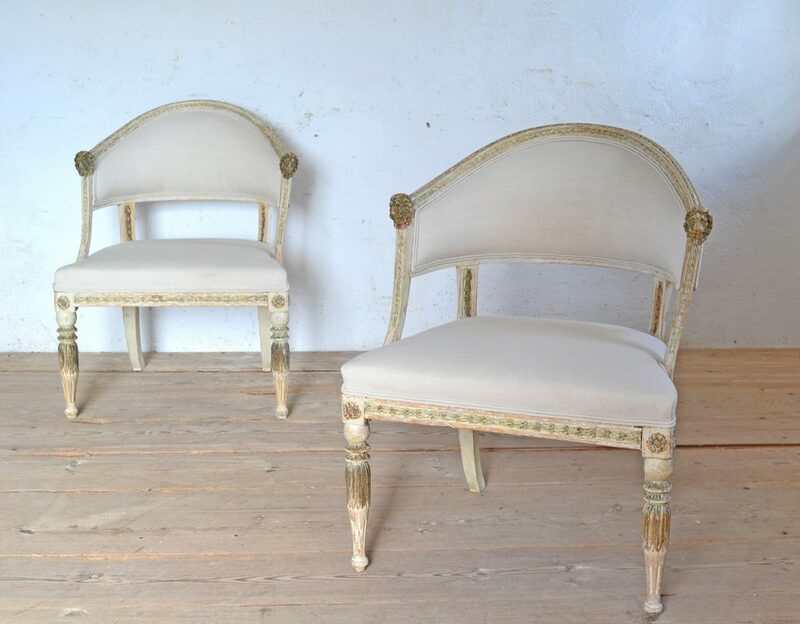 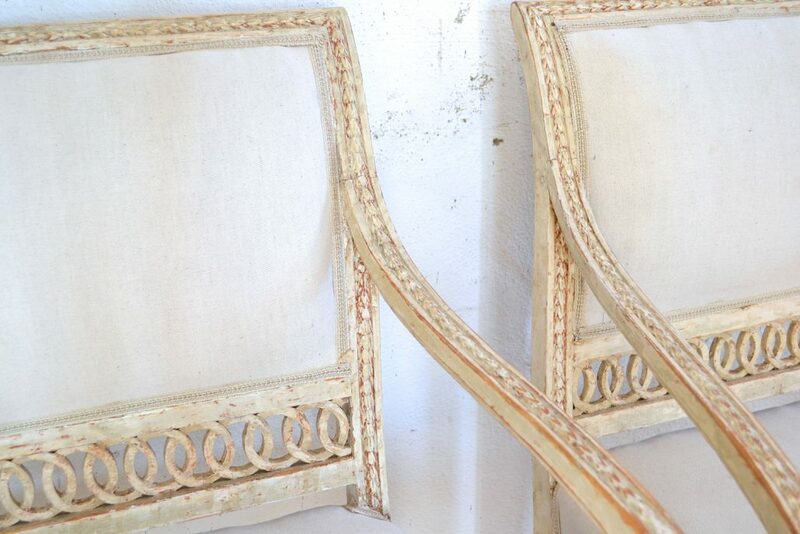 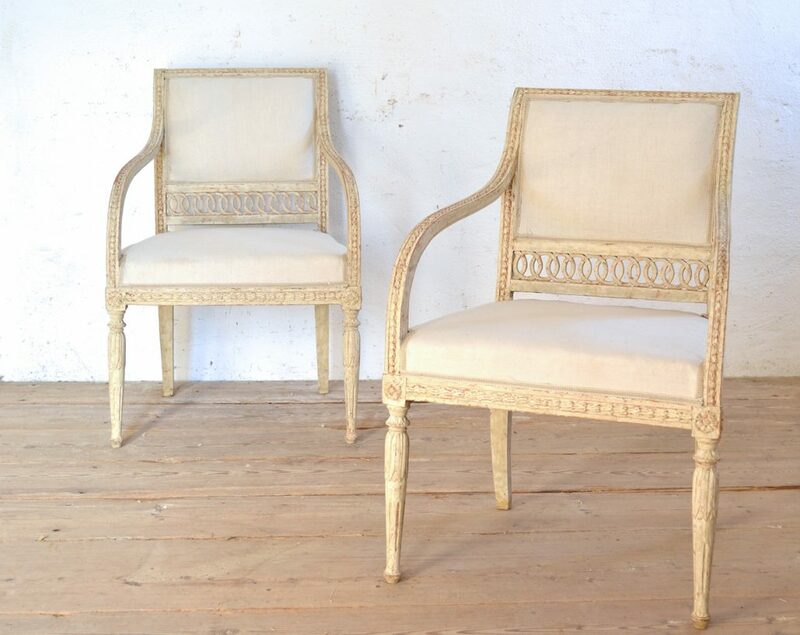 Fin pair of Stockholm made armchairs made in the beginning of the 19th century. 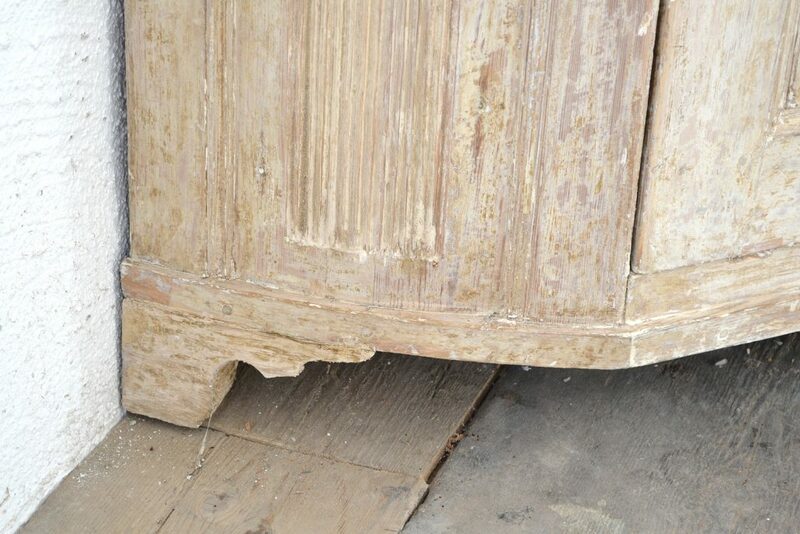 Scraped to tis well preserved original color. 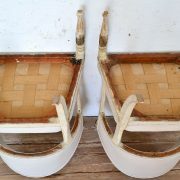 Partly original padding. 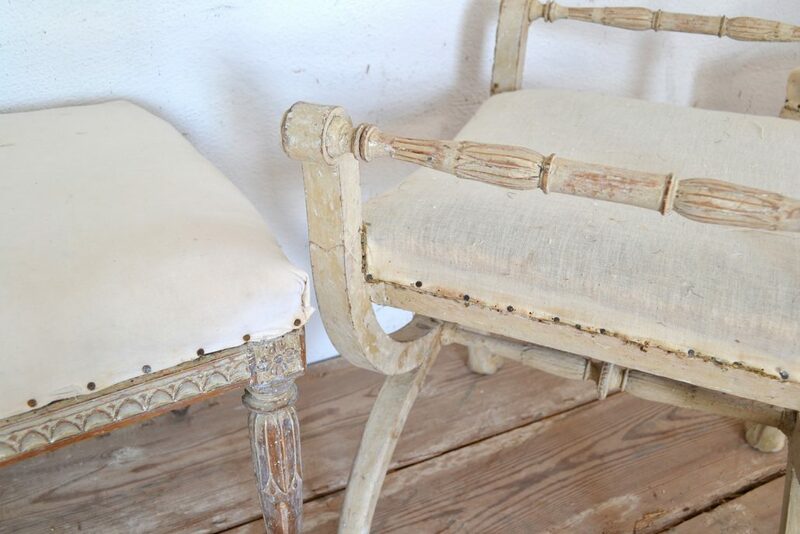 New upholstery. 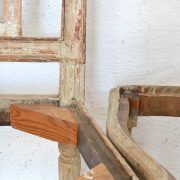 Small feat extensions.